I would like to share with you a blog I have been following for about 2 -1/2 years now called Women Living Well. I stumbled upon this blog when I was researching about Homeschooling and actually her youtube channel came up and her ministry has been a great addition to my journey as a servant of the Lord. A couple of months ago when I was asking the Lord, what book to read next, He led me to Exodus, however I did not jump in until now (not sure why). I received an email from the blog and saw she was starting the book of Exodus so, I decided I would follow her “Blog through the bible” as best as I can(maybe this is why I waited 🙂 ). They are reading a chapter a day -Monday thru Friday and I tend to be a little slower when I reading the bible, allowing myself time to study, soak, meditate, discuss, pause and not just “read” it so, I will be probably in up behind but I thought it would be fun to follow along. Also, I will be reading the “Thru the bible” commentary by J. Vernon McGee (among other study bibles & books). 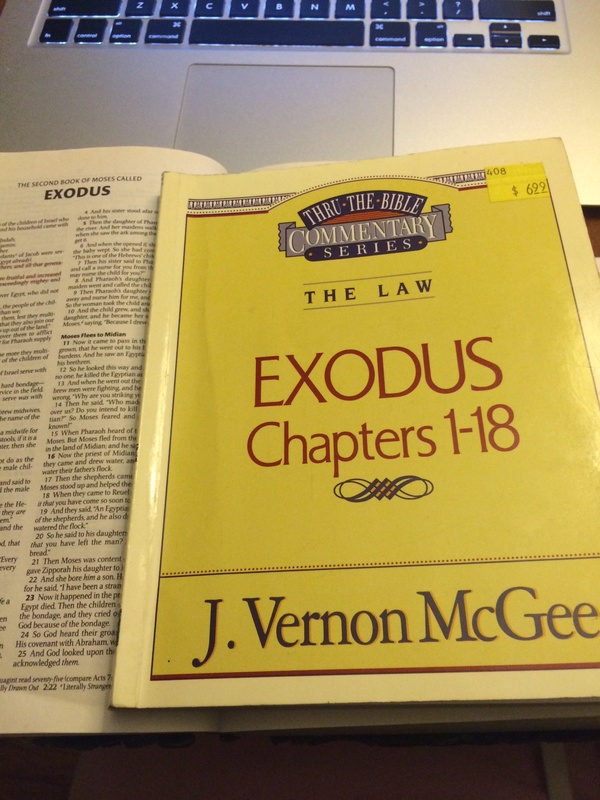 I have had the Exodus commentary for a while but I never read. My husband brought it for himself a few years ago and I asked him about and he said it was great. I started reading and I love it so far. 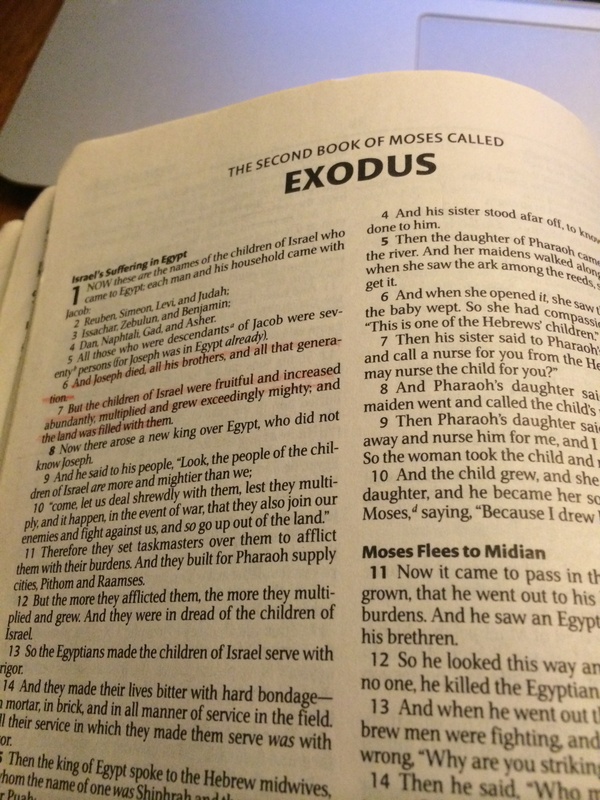 I encourage you to join us in reading the book of Exodus or any book of the bible. What book are you reading? Are you reading with a group? Please post comments or questions below!